PGS (Preimplantation Genetic Screening) for infertile couples. 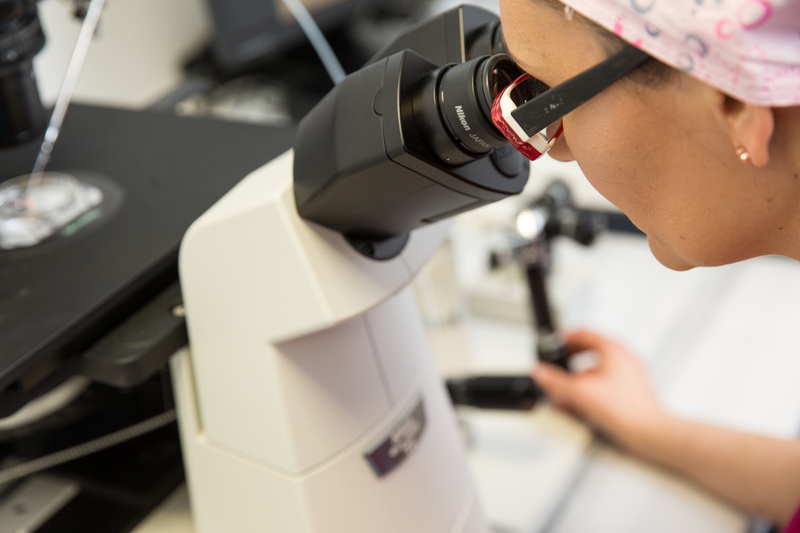 Embryos that undergo Preimplantation Genetic Testing are biopsied on Day 3 after Oocyte Retrieval or Day 5. A small hole is created to the zona pelucida using laser and with a micropipette one blastomere is removed in each embryo. On Day 5 Biopsy trophectoderm cells are removed (that give rise to the placenta), then genetic testing follows. 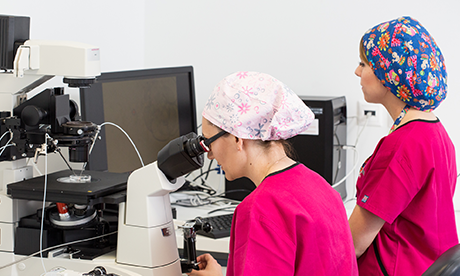 Preimplantation Genetic Screening is recommended to couples that are in an IVF program with recurrent failures in IVF, advanced maternal age, repeated pregnancy loss or severe male factor infertility. 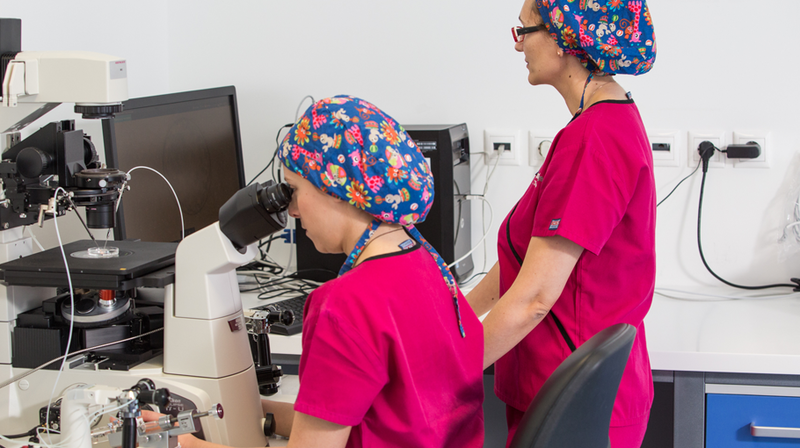 During the procedure the embryos that are produced in vitro after IVF are biopsied and checked for aneuploidies (structural or numerical chromosome abnormalities). The embryotransfer is programmed after 2 days, day 5 of the embryo if euploid embryos are available after testing. Preimplantation Genetic Diagnosis is recommended to couples that are ailing or are carriers of a genetic disease or they already have a child that suffers from a genetic disease such as Thalassaimia, Cystic Fibrosis, Spinal Muscular Atrophy or Duchenne Muscular Dystrophy. In some cases, the child to be born may be genetically compatible with an already-heavy-suffering brother and serve by donating some stem cells to save his life. During the first meiotic division of the primary oocytes, 2 cells with 23 chromosomes are obtained. The 1st cell retains almost the whole cytoplasm and becomes the final oocyte while the second is the polar body which is very small, non-functional and as a satellite isolated on the periphery of the oocyte. Removing the first polar body does not affect fertilisation or fetal development. Knowing the genome of the polar body we know the oocyte genome. The removal of the 1st and 2nd polar bodies (the second polar body is discharged after fertilisation with the sperm) is done in a short time, the genetic analysis is completed shortly, and the probability of misdiagnosis of fetal mosaicism is diminished. 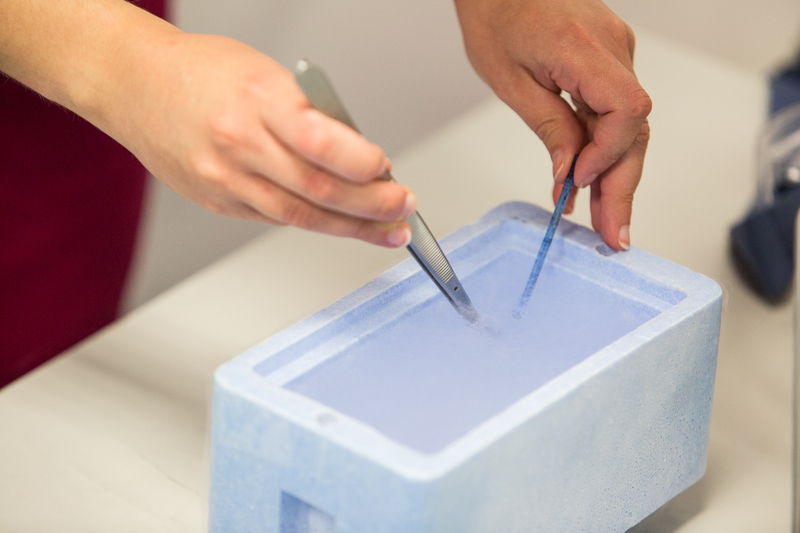 The polar body biopsy is more acceptable ethically since material from the embryo itself is not used. However, it is a very new technique, technically difficult, costly and still in progress, so it requires patience and thorough research until it is effective.